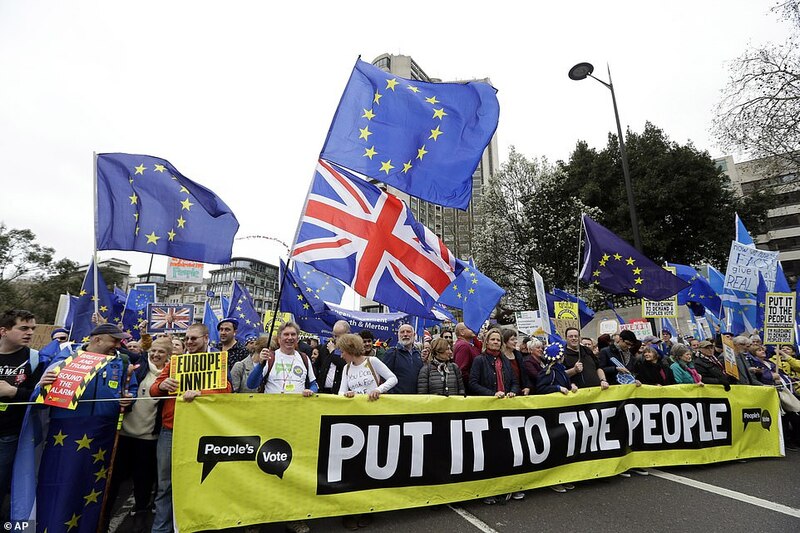 Tens of thousands of anti-Brexit protesters have travelled from all over the country to London for the ‘Put it to the People March’ as the online petition urging the government to cancel Brexit passed four million signatures. 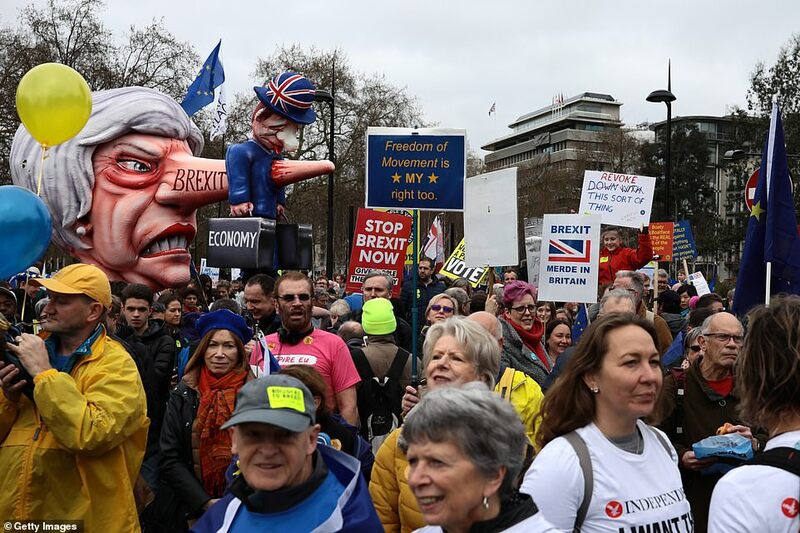 Opponents of Britain’s departure from the European Union began gathering in Hyde Park from 12pm before converging on Westminster. 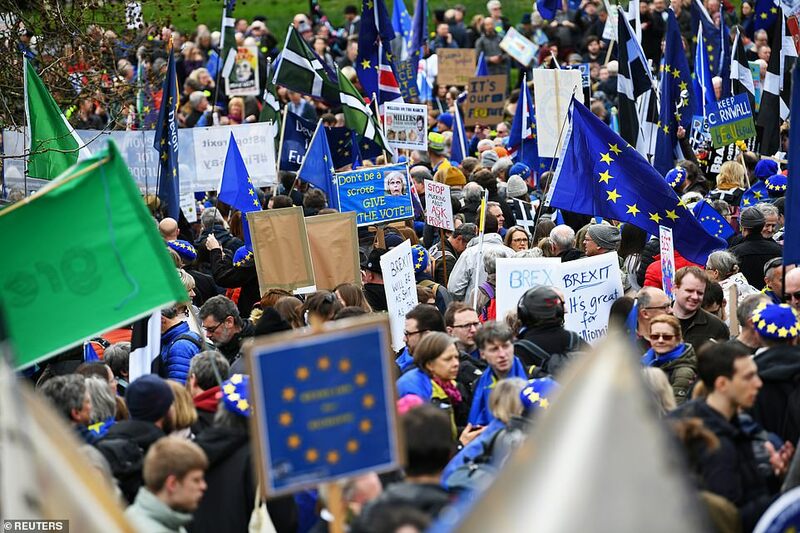 Speakers set to address a rally outside Parliament include Scotland’s First Minister Nicola Sturgeon, London Mayor Sadiq Khan and opposition Labour deputy leader Tom Watson. 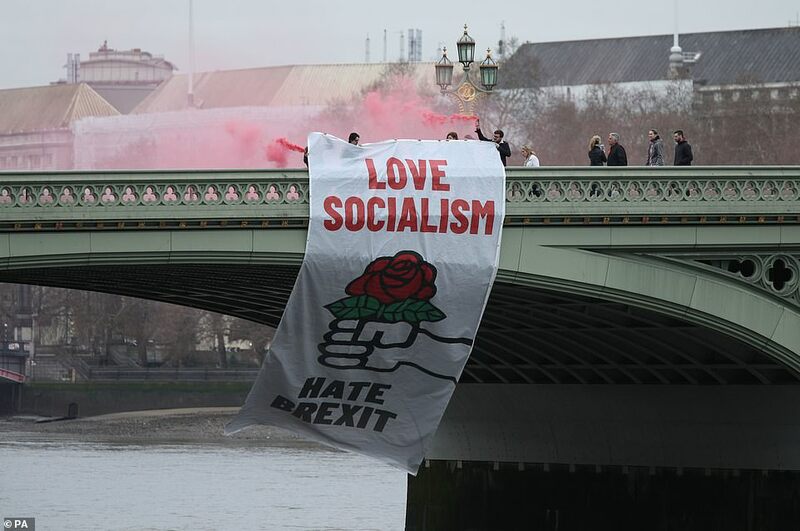 ‘Brexit is a complete and utter mess,’ Khan said on the eve of the event. 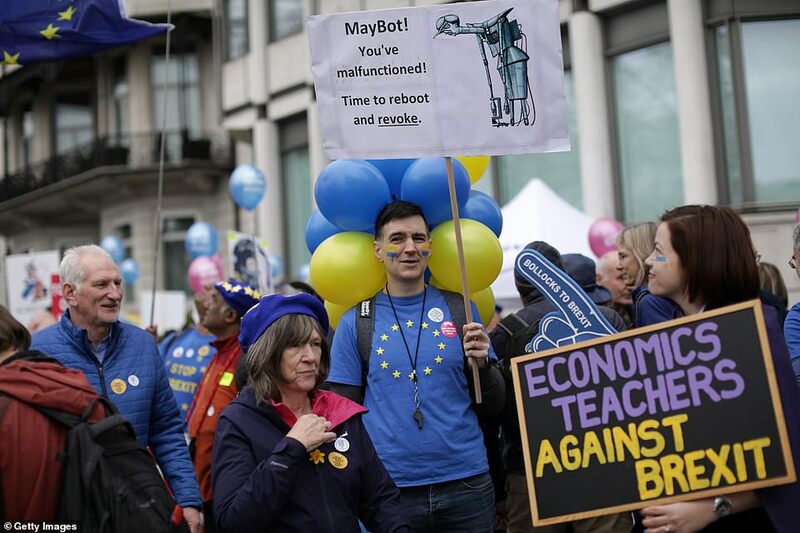 Earlier, former Ukip leader Nigel Farage joined the counter March to Leave in Linby, Nottinghamshire, telling around 200 Brexit supporters that Theresa May had reduced the nation ‘to a state of humiliation’. 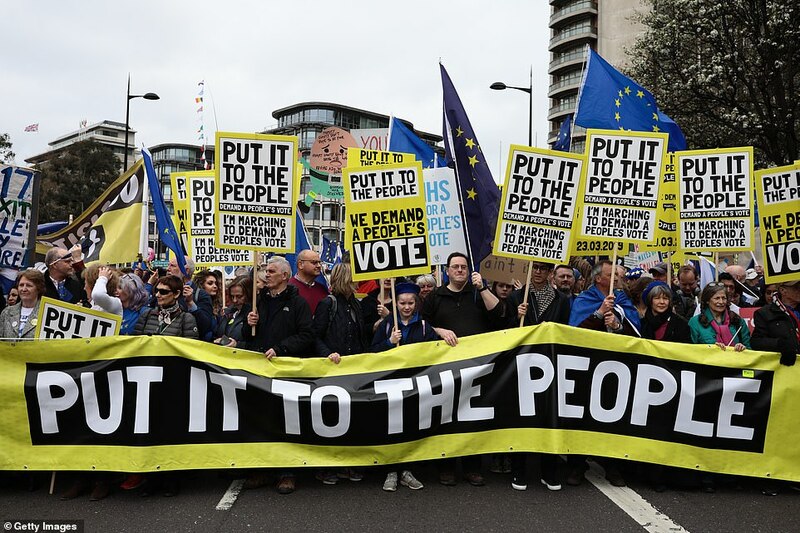 The ‘People’s vote’ protest – set to be one of the largest in the capital in decades – is hosted by the People’s Vote pressure group. Saturday’s protest follows a similar demonstration in October that drew an estimated half a million people. Among those planning to attend is Stephen Goodall, a 96-year-old World War II veteran, who will travel 200 miles by train from southwest England alongside four generations of his family including his great-granddaughter. 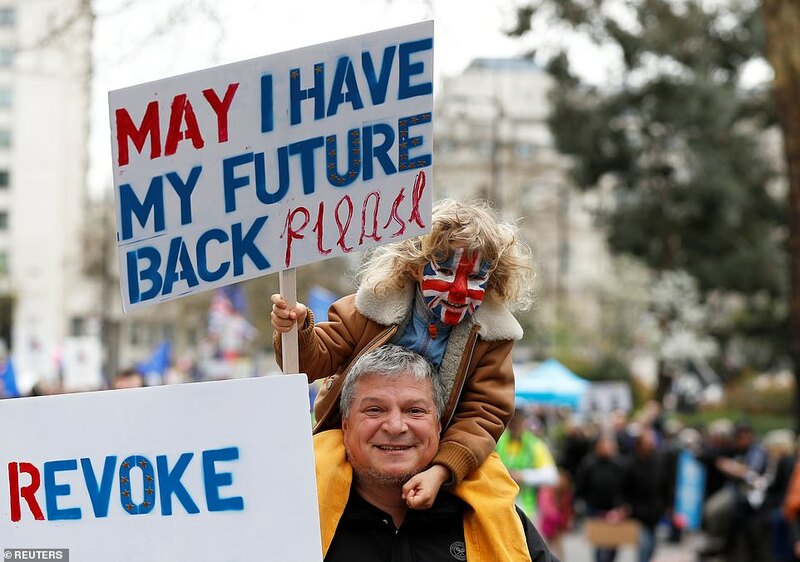 ‘I am an old man and the outcome won’t affect me – but it will affect my family and many people that I know for years to come,’ he said in a statement released by organisers. 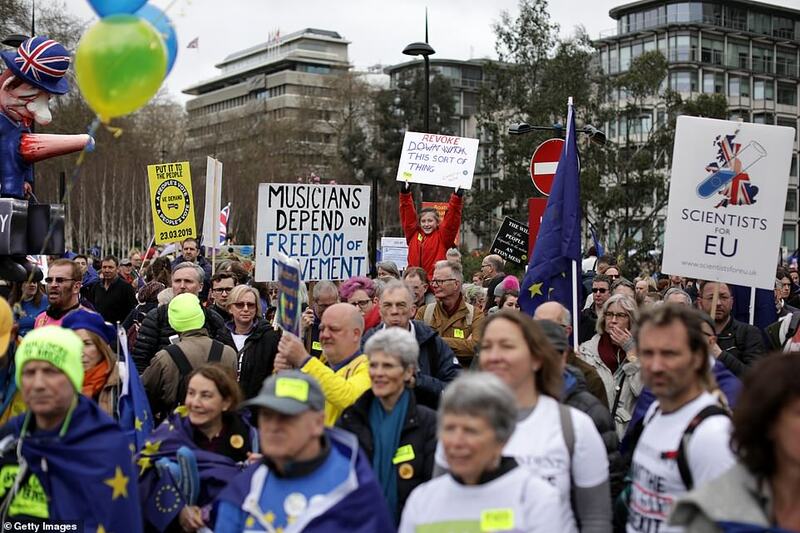 The marchers will also include 63-year-old Edmund Sides, who spent the last three weeks walking from Wales to London in order to take part. 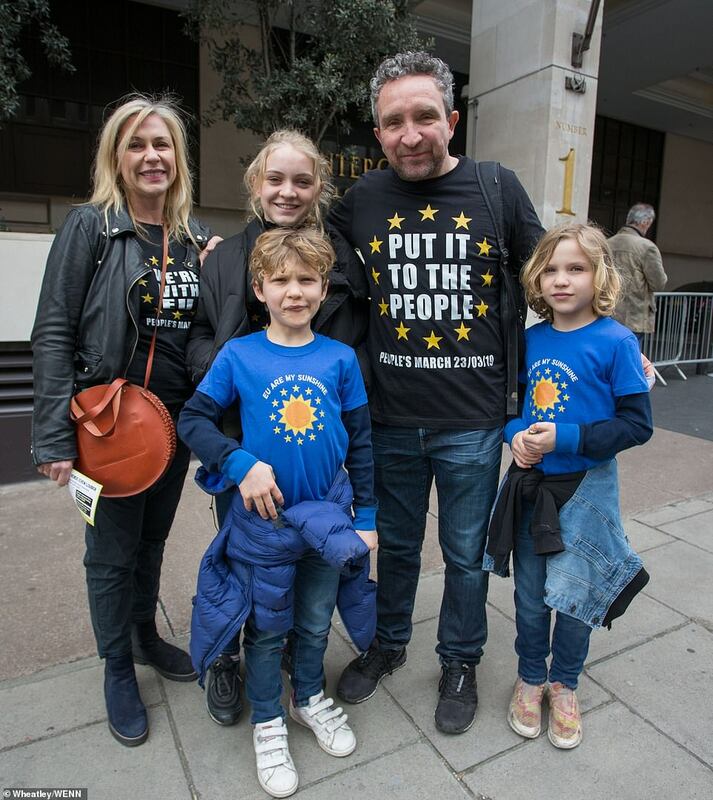 Sides, a geologist, said he wanted to be able to speak to people along the way, encouraging families that have been split between Leave and Remain to mend fences and talk. ‘The whole country isn’t doing enough of that,’ he said. Sides is worried about the vicious tone that arguments have started to take and worries about national cohesion. Walking gave him a chance to talk to people along the way, and see what others were thinking. ‘People fear the atmosphere is very dangerous in this country,’ he said. 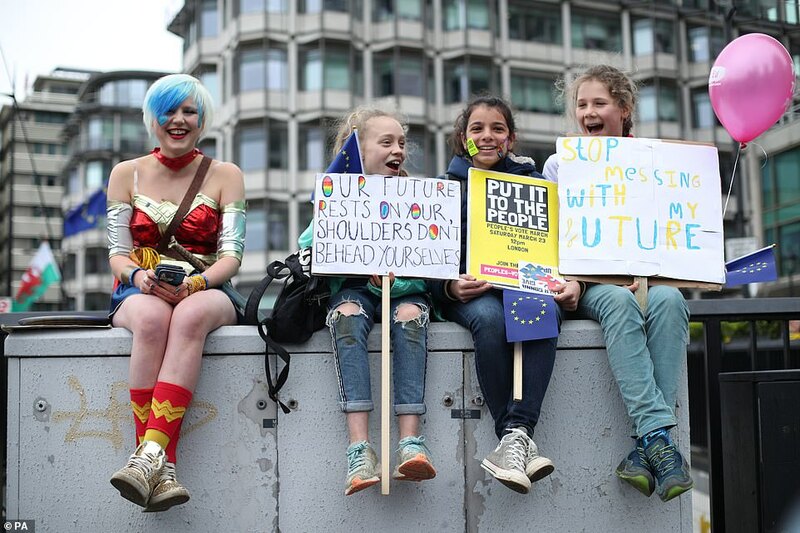 If she succeeds, Britain – which was staring at a cliff-edge deadline of March 29 for leaving the EU – will depart on May 22 under the terms of the withdrawal agreement the prime minister struck with Brussels last year. 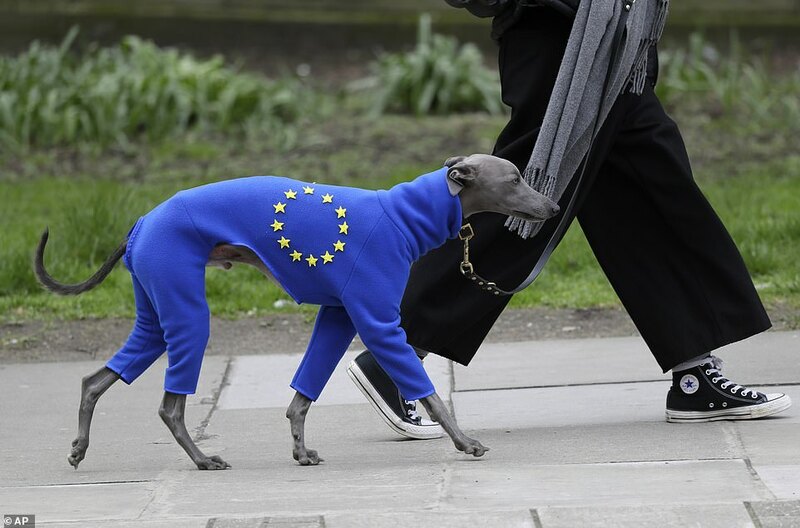 But if lawmakers defeat the accord again, as expected, London must outline a new plan or face a no-deal Brexit as early as April 12 – unless it decides to request another extension and hold European Parliament elections in May. 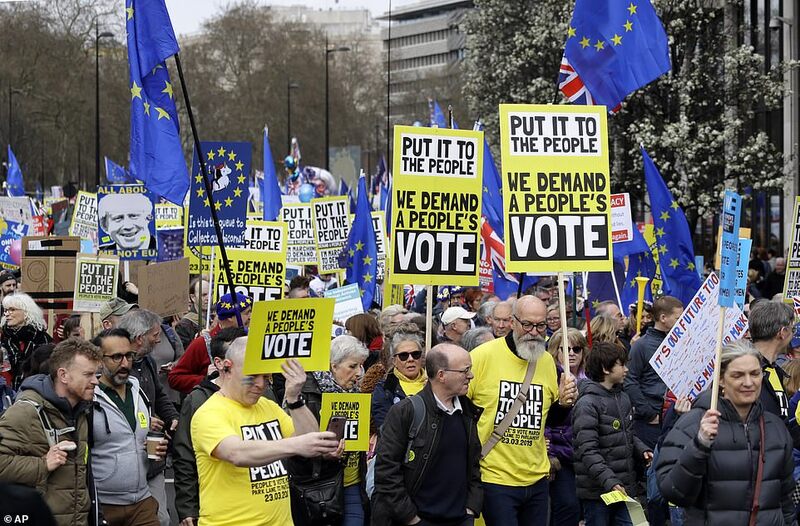 Watson said he had now decided to campaign for a referendum ‘reluctantly’ and would back May’s deal if it was also put to the people. 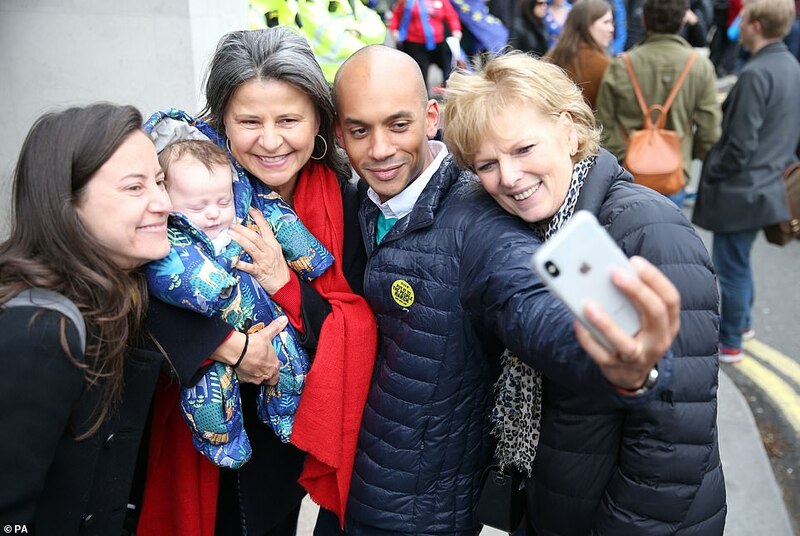 ‘It can only begin to bring the country back together again if we all have a final say – and then live with the result,’ he said.